Investing in a new swimming pool and backyard environment is a serious yet rewarding decision. Each project represents a unique set of challenges and opportunities. Our Design Team has decades of experience creating custom outdoor environments from simple to spectacular. This group of design professionals includes a diverse range of complementary talent that spans the industry’s spectrum. 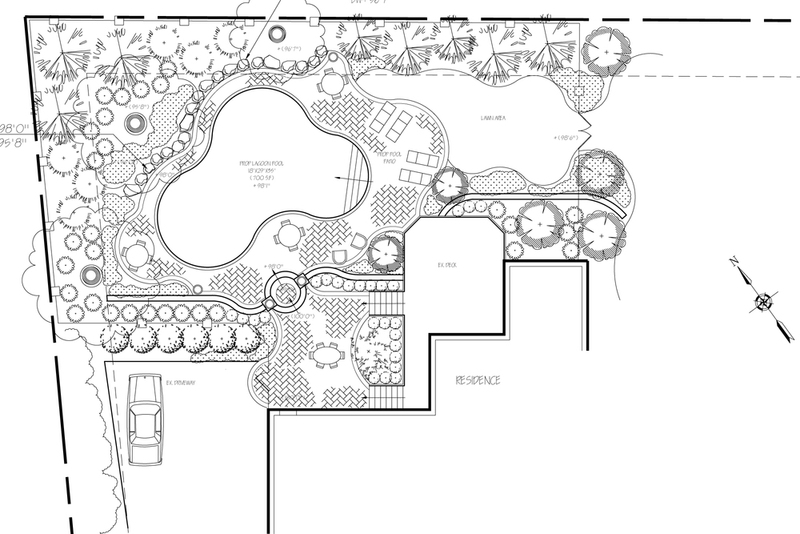 Our team includes individuals skilled in engineering, landscape architecture, architecture and drafting. Our Construction Manager has decades of experience completing projects of all types, from the most basic pools to wildly complex outdoor environments that include pool cabanas, water features, drainage systems, retaining walls and all other matters of associated accoutrements. We strive to create a plan for each individual property that not only meets your recreational needs but also works on a realistic budget. Every project we create is built with the natural environment in mind while optimizing the space and natural features of the given site. We call it organic design. This methodology was first defined by Frank Lloyd Wright. Organic architecture / design is a philosophy of architecture which promotes harmony between human habitation and the natural world through design approaches so sympathetic and well integrated with its site, that buildings, furnishings, and surroundings become part of a unified, interrelated composition. For many homeowners, we know the process of building a new swimming pool and the associated infrastructure can seem over overwhelmingly intimidating. Our Design Team is dedicated to making the process as simple and straight forward as possible. We really will make your dream project come true from concept through completion. From inception through the permit process ……. right up until the day you are ready to throw your first party. Normally $1,500.00, Masterson Pools is now offering a full rear yard and pool conceptual design for just $795! To receive a new pool consultation, please fill out our Consultation Form and one of our team members will contact you shortly. For immediate assistance, please contact our office directly at 201-327-6000. Thank you for your submission! A Masterson Pools representative will be contacting you shortly.